Ohio became the 17th State of the Union in 1803, and Franklin County, named in honor of Benjamin Franklin, was one of the first counties created by the new general assembly for settlement by Revolutionary War veterans and refugees. Guiding the development of the new frontier was the County Surveyor whose primary job was to clarify land titles and property boundaries. Population and economic growth, however, expanded the County Surveyor’s duties to include the planning and design of local roads and bridges. In 1935, the Ohio Legislature redesignated the County Surveyor’s position to that of County Engineer. Only persons who meet the rigorous standard of holding Ohio licenses as both a Professional Engineer and Professional Surveyor may qualify for the public office, which is elected every four years. From the early dirt, wooden plank and granite block roads to today’s modern thoroughfares of asphalt and concrete, the Engineer’s office is continuing the historic tradition of meeting the County’s transportation and land record needs. Today, the Franklin County Engineer’s Office is responsible for the maintenance and construction of 271 miles of county roadway. Improvements to county roads range from resurfacing, reconstruction and widening projects to Highway Maintenance Department operations. This work includes pavement and berm repairs, drainage upgrades, traffic signal management, sign and guardrail installation, lane striping, and snow and ice removal. During the winter months, “Snow Fighter” crews work around the clock to maintain safety on nearly 800 miles of roads and streets, and we provide road salt to 23 communities and public entities. The Engineer’s office is also responsible for the inspection, maintenance and rebuilding of 351 county bridges and 185 culverts. Notable structures include Beach Road over Big Darby Creek; Hayden Run Road, Fishinger Road, and Greenlawn Avenue over the Scioto River; and Lane Avenue, King Avenue, and Third Avenue over the Olentangy River. To meet the continuing development and infrastructure needs of Franklin County, the Engineer’s office utilizes the latest technologies for surveying, tax map maintenance, and land record keeping. 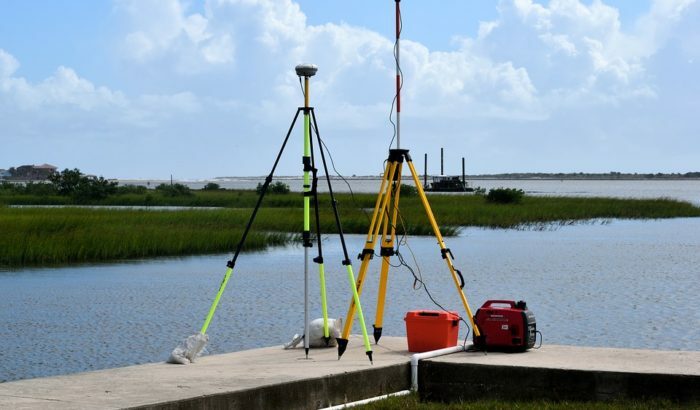 Use of a countywide network of horizontal and vertical control monuments and the satellite Global Positioning System (GPS) enables the most accurate surveys necessary for the design of construction projects and the definition of road centerlines, property limits, and county, municipal and township boundaries. In addition to our transportation and land record keeping duties, the County Engineer’s Office works to control flooding, prevent erosion, and promote better water quality within the public right-of-way along county roads in township areas. To fulfill these goals, we perform a variety of drainage services that include inspection and inventory of all county drainage structures; use of video camera equipment for underground inspections; cleaning and debris removal; replacement of deteriorated or insufficient roadway drain tile, pipe, and catch basins; and construction of new storm water management facilities including roadway drainage tile, pipe, catch basins, and pre-cast concrete box culverts. The County Engineer is not responsible for storm water management on private property, but drainage assistance in unincorporated areas can be requested through the county’s ditch petition process, or for new subdivisions, through the subdivision platting process. The cost of these improvements are then assessed to the property owners in the petitioned areas. Currently, the county’s petition ditch inventory includes 94 miles of open ditches, and 147 miles of closed (tiled) ditches. During inclement weather, more than 100 Franklin County Engineer ͞Snow Fighter͟ personnel work around the clock to maintain safe travel on 766 lane miles of roads and streets, and provide road salt and anti-icing chemicals to 23 communities and public agencies. Deployed in two twelve-hour shifts from two regional facilities and the 970 Dublin Road Headquarters, the snow fighters operate 31 dump trucks equipped with plows and computerized salt spreaders that maximize efficiency. They clear 25 designated routes, as well as those requested by other agencies. Route checkers, traveling in vehicles equipped with pavement temperature sensors, are in constant contact with command post dispatchers who communicate with the county sheriff’s office, police, and public service departments to ensure fast and efficient snow and ice removal. The dispatchers also monitor the latest weather information from the AccuWeather Forecasting System and the National Weather Service. Snow Fighter support personnel includes mechanics that provide essential vehicle repair and preventive maintenance services, and heavy equipment operators that use front-end loaders, stationed at our regional facilities, to load salt trucks and remove snowdrifts from roadways.